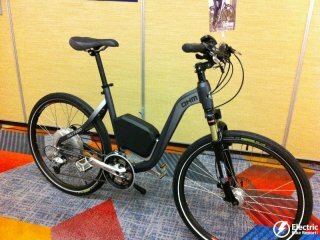 In this third part of the new 2017 electric bikes report you will see videos from: Orbea, OHM, IZIP, Tempo, A2B, COBI, Juiced Bikes, eJoe, Smartmotion, and EZ Pedaler. This is a guest post by Cathy Lau from OHM Cycles. 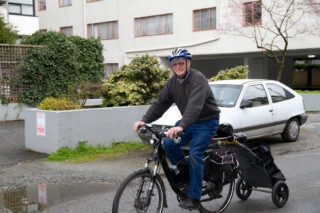 Seattlelite David Somers knew that his electric bike would save him money in the long run, but he didn’t realize just how many dollars it would save him with only a few rides. 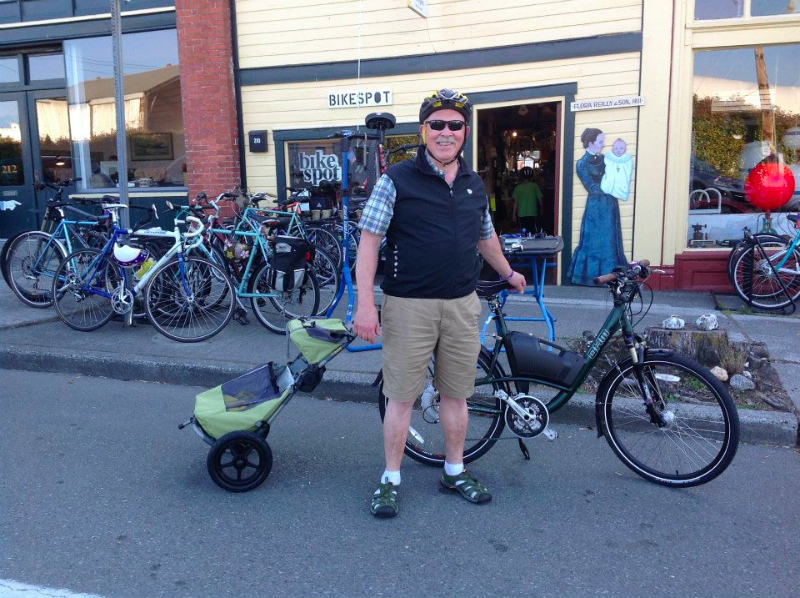 David has shared his electric bike experiences with us in the past, describing how he fared while pairing his OHM with a Burley Travoy Trailer to accomplish an impressive task (see Burley Travoy bike trailer review ). 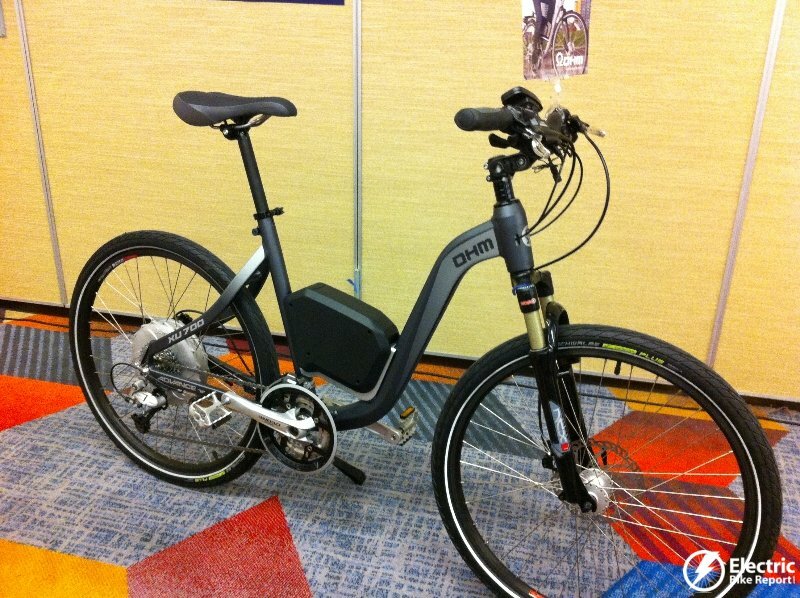 Guest post by Cathy Lau from OHM Electric Bikes. 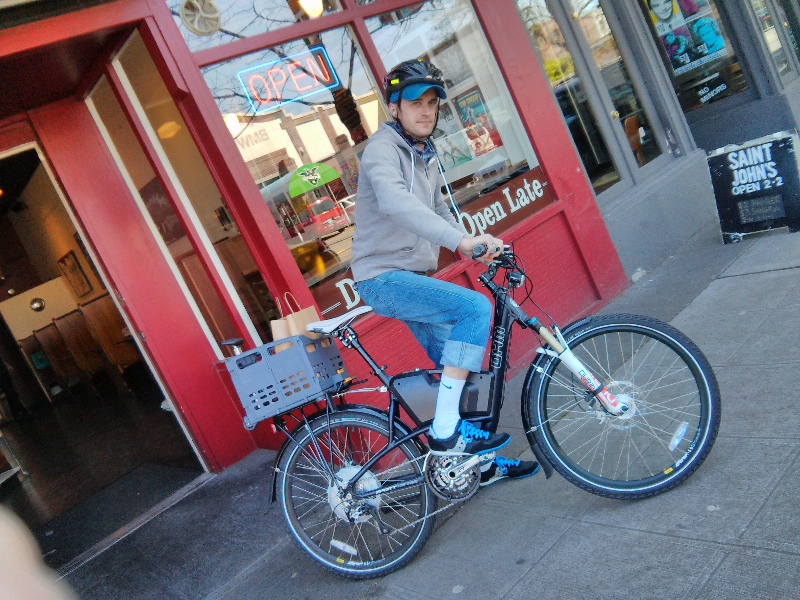 Delivering food orders by bike is no easy task when your delivery routes are filled with steep hills and traffic. Wanting her company’s new delivery bike to be one she could trust to deliver both her food and her employees safely and reliably, Seattle café owner Emily Mabus invested in an OHM electric bike. Here is a concept electric bike/motorcycle from the industrial design firm J.Ruiter: “This “one horse” concept E-bike was a working sketch prototype in a series of electric thoughts. E-bikes don’t need to be bikes with motors and batteries. 34mph + single front brake + 48v 1000watt hub motor = sketchy…” Hmmmmm……interesting. We will see if this ever makes it to production. In any case, it is fun to think outside the box! Ohm Electric Bikes to be Featured on Dragons’ Den TV Show! This is a press release from OHM Electric Bikes. 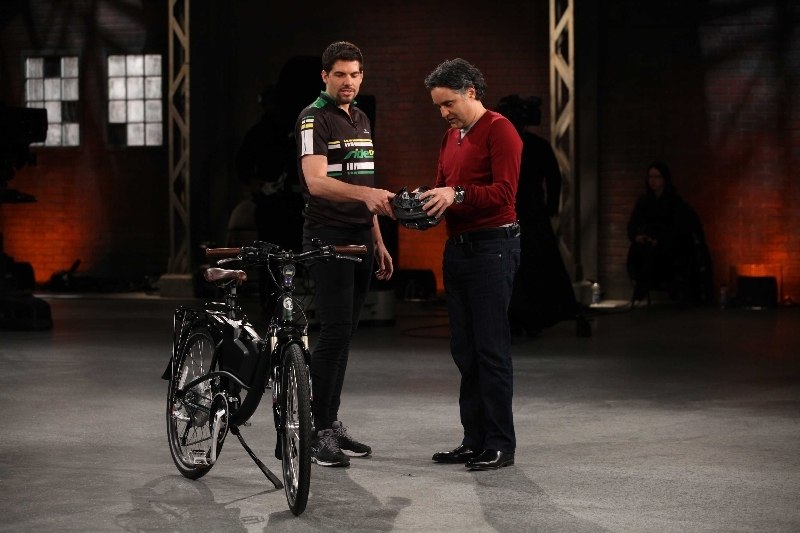 Vancouver entrepreneur Michael DeVisser will appear on CBC’s upcoming Dragons’ Den episode Sunday, January 20th, 2013 at 8:00PM (8:30PM in NFLD), to pitch OHM Cycles: his line of premium Canadian electric commuter bicycles. This is a guest post from Lani Hanson. 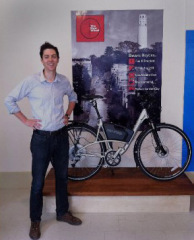 Meet Brett Thurber, co-owner of The New Wheel electric bike shop in San Francisco, California. Beware. 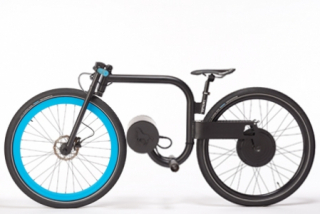 You will want to try an electric bicycle after reading this article. When injuries take away your ability to cycle where and when you like, sometimes, you can regain your freedom to ride with an electric bike. 81 Year Old Man Comes Out of Retirement as an “Excuse” to Commute by Electric Bike! 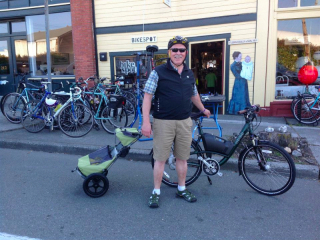 Jean Dion is not your typical bike commuter, but he is certainly a devoted one. 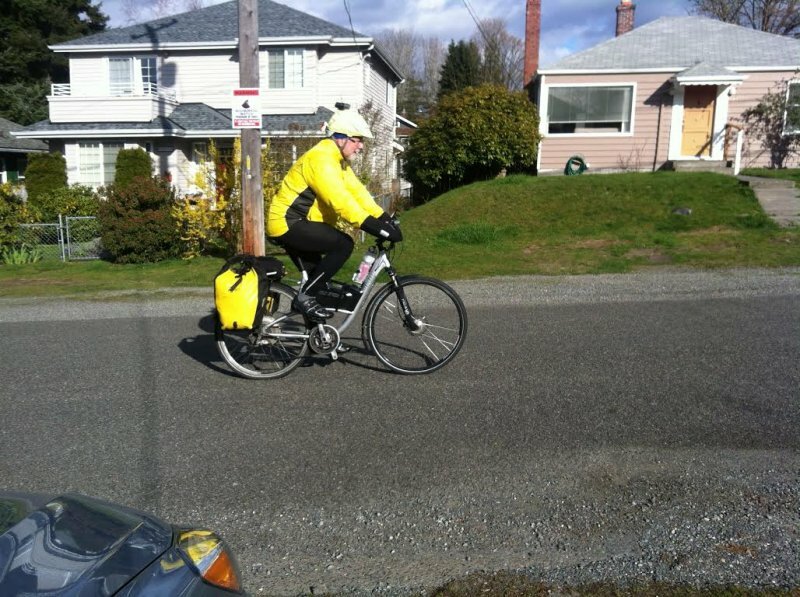 Unlike most commuters who choose to bike because they need to get to work one way or another, Jean is an 81 year old retiree who has started working again as an excuse and incentive to commute by electric bike. Want more electric bike pictures and video from Interbike? Okay let’s dive in! Make sure you checkout Part 1 and Part 2 if you haven’t already.